In July, I had the pleasure of photographing Sabrina, a professional ballerina with the Ballet Theatre of Maryland. She is so sweet and her dancing is just mesmerizing. 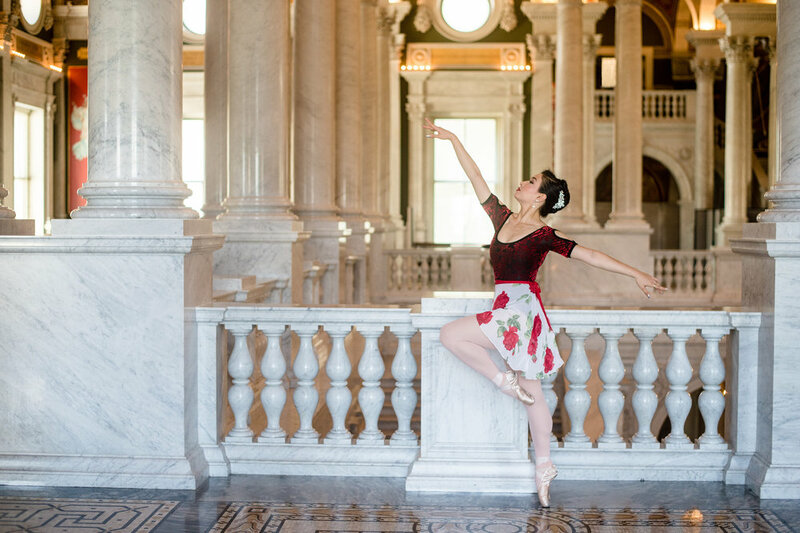 While photographing at the Capitol and the Library of Congress, people were stopped in their tracks and just in awe of her talent. We were even approached by a photographer for “Roll Call” newspaper who took a behind the scenes photo of me photographing Sabrina mid air in front of the Capitol!. It was a pretty exciting day and she was definitely the real MVP, withstanding the heat as I photographed her. Dancers are seriously some of the toughest athletes I know and it’s such a joy to photograph them. I can’t wait to see her perform this season with the Ballet Theatre of Maryland.